Microsoft is constantly working towards making your PC experience better through Windows. No matter if you’re running Windows Vista or Windows 10, the Windows updates pushed out by Microsoft are necessary tools to ensure your PC has the capability to perform all the tasks you ask it to do throughout your work day. The updates can include anything from a driver update for your video card, all the way up to patching a major security hole that has just been discovered by Microsoft. Without these updates, you could potentially be making your PC vulnerable to the many exploits that the World Wide Web presents on a daily basis. 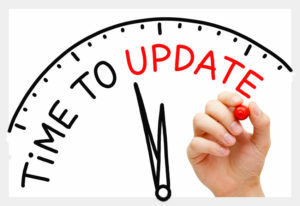 Besides security threats, Windows Updates offers fixes to various known issues such as network connectivity problems, display/audio problems, and much more. To ensure that you are getting these updates, ACE monitors our customers PCs and automatically pushes out new Windows Updates that have been approved by Microsoft. These updates are installed overnight, so as to not impact your work activities during the day. In order to get you these updates, we ask that our customers do not turn off their PCs at the end of the day. Instead, we recommend Logging Off or Locking the PC before heading home. This maintains the security of your data, while still allowing the essential Windows Updates to reach your system.